Since 2012, I’ve been a huge fan of Facebook, Apple, Amazon, Netflix and Google. And they have dramatically outperformed the market. In the last few weeks their values have fallen dramatically, and I’ve heard grumblings that these are no longer the stocks to own. I virulently disagree. Great companies are where you should invest. If you don’t think these are great companies, you would be right to sell them (such as GE, Sears, and many others.) But despite complaints about privacy, usage rates, nefarious users, and other attacks on technology, the reality is that we love the convenience these companies gave us. We may not think things are perfect, but we are a lot happier than we used to be, and we are pretty happy with how these companies respond to product concerns. 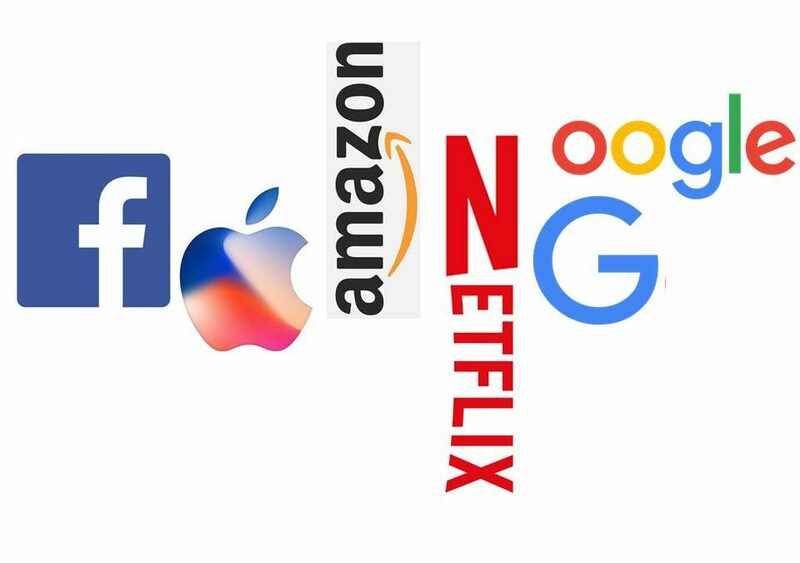 These mega-trends are the foundation of the FAANG companies. These companies became great by understanding these trends, then developing products for these trends that have attracted billions of customers. Their revenue growth continues, just as their product development continues. And their profits keep growing as well. Nobody ever saved their way to prosperity. To increase value you must increase profitable revenues. And that capability has not left these companies. Some of these company’s leaders have recently been called to Washington to testify. Will they be attacked, split up, further regulated? Will the government kill the golden goose? Given that the US House of Representatives has not firmly moved to the Democrats, I see almost no sign of that happening. Democrats like happy constituents, and given how happy consumers are with these companies the Democrats are very unlikely to intervene. There has long been a deep friendship, built on significant campaign financing and lobbyist involvement, between these companies and Democrats. The change in government almost insures that the actions in Washington will prove to just be a lot of short-term heat, with little change in the overall lighting. I don’t know when these stocks will reach a short-term bottom. Just like nobody can predict market highs, it is impossible to predict lows. But the one thing I feel very strongly about is that in a year these companies will be worth more than they are valued today. For insight into my strong favorability for these companies, take a look at the infographic I’ve provided regarding Facebook. Despite the Facebook stock ups-and-downs, this infographic explains why long-term it has been very smart to buy Facebook. Despite how people have “felt” about the company, it is a GREAT company built on powerful trends. To understand even better, buy the ebook “Facebook, The Making of a Great Company” on Amazon for 99 cents. 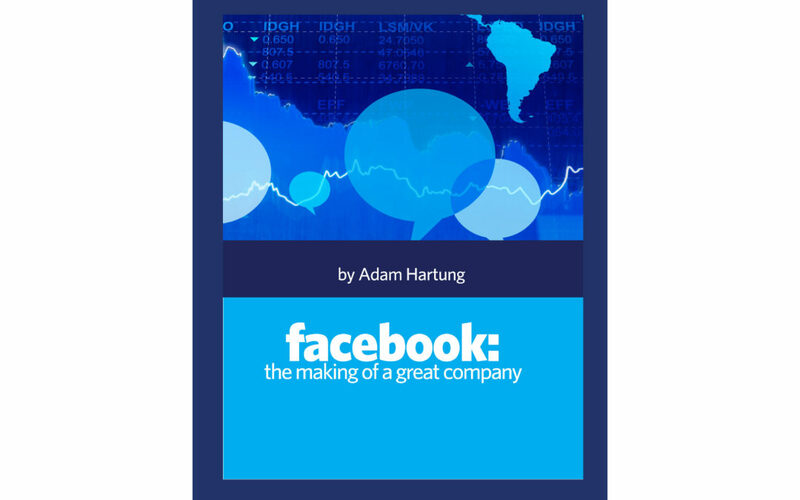 In the recently published, “Facebook- The Making of a Great Company”, Adam Hartung analyzes the rise of Facebook and its impact on the financial community, business marketing and innovation. Adam’s posts over the years have predicted key milestones in Facebook’s growth and its transformation into a driver of social trends. He tells the story of this company that has overcome negativity and skepticism in the financial community and has adapted to its users. history; about $120B of market value disappeared. Just under 20%. Harvard Business Review Press just published an insightful new book by two senior partners at Bain & Company, one of the world’s three leading strategy consulting firms, entitled Time Talent Energy. The book’s great insight is that companies utilize a plethora of tools to manage money and financials to the nth degree, but that approach is less successful than putting a greater focus on managing employee time, talent and energy. While managing financials is required in the modern organization, it is insufficient for success. Mankins and Garton discovered that organizations which focus more heavily on managing how employees spend their time and how they thoughtfully place people in their roles, create companies where employees are inspired and 40% more productive than their competition. And this pays off, with profit margins which are 30-50% higher than their industry average. The improvement is so great from focusing on employees that in today’s low cost and easily accessible capital world it is better to waste some cash in the process of better managing time and talent. In most companies 25% of all productive time is wasted and can reach as high as 40% in complex organizations. Think of all the emails, texts, voice mails and meetings that absorb vast amounts of time. Yet, as the authors are fond of pointing out, nobody can create a 25 hour day. So if you can recapture that time, productivity will soar. The results are far greater than squeezing another 1% (or even 10%) out of your cost structure. If instead of spending so much time managing costs we spent more time eliminating complexity and unneeded tasks, competitiveness will soar. Some people think that the best companies hire better people. Surprisingly, this is not true. About 15-16% of employees in every company are “A” players. But most companies squander this talent by spreading it around the organization. To achieve higher productivity and greater success, leading companies cluster their “A” players into teams focused on the most critical, important parts of the business. Thus, the best talent is working side-by-side on the most important challenges which can lead to the greatest gains. This talent clustering energizes the best workers, increasing productivity by 44%. But more than that, as the culture is inspired from building on its own gains productivity soars as much as 125%. But in most organizations the focus still remains on finance. The CFO is frequently the second most powerful individual, behind only the CEO. The head of Human Resources (Chief Human Resources Officer — CHRO) rarely has the clout of a CFO. And the CFO job is seen as the route to CEO — far more CFOs than CHROs become CEOs. Simultaneously, organizations spend exorbitantly on financial control tools, such as ERP (Enterprise Resource Planning) from companies like Oracle and SAP — while very few have any kind of tool set for effectively managing employee time or talent deployment. The authors conclude it is apparent business leaders have significantly overshot on managing financial resources, while allowing their organization to be woefully incapable of managing its human resources. 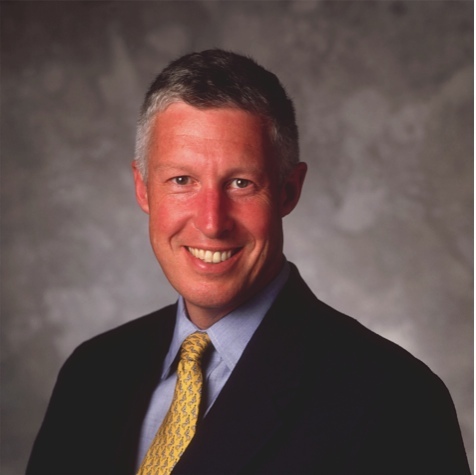 Adam Hartung: Do businesses need to lessen the CFO role, and heighten the CHRO role? Michael Mankins: The reality is that most human resource decisions, those that determine how people spend their time, and how talent is deployed, are made by line managers. Made within the bowels of the organization, with little more than senior leadership guidelines. There needs to be significantly more involvement by senior leadership in collecting and reviewing data on critical skills for the organization, “A” player performance and leadership development. If as much time was spent by senior leadership teams discussing human resources as spent on budgets there would be a tremendous improvement in productivity. The CFO and CHRO should definitely be peers. To do that requires a cultural change from being an organization focused on preserving the status quo, reducing mistakes and keeping leadership out of jail to one that is far more future oriented. This can be done and in the book we highlight companies such as ABInBev, Ford, Nordstrom, Starbucks, IKEA, Netflix and others who have accomplished this. Hartung: Companies spent enormous sums installing ERP systems and they spend a lot to maintain them. Yet, from reading your book it seems like this may have been misguided. Mankins: All companies need to be able to change their business model as markets shift. ERP frequently creates a wiring that makes it hard to change with the competitive landscape, or as changes in capability are required. ERP locks in the business model at a point in time — but great performers develop ways to adapt. All companies need a great general ledger. ERP goes far beyond the general ledger and in doing so can make a company too inflexible for today’s rate of change. There needs to be a flexible ERP system —which just doesn’t seem to exist right now. The ERP market seems ripe for a marketplace disrupter! Simultaneously there aren’t any great tools out there for collecting data that can help a company reduce complexity and eliminate time wasters. Nor are there great tools for managing the performance of “A” players. The top performing companies do create a discipline around these tasks, collecting and analyzing data. Many companies would be helped by a tool that would do for time and talent management what we’ve done for financial management. Mankins: We discovered that by and large the greatest gains come from focusing on the latter. Almost all MBA programs are maniacal about training managers to improve the existing business. For many years corporate planning systems have focused almost entirely on improving the operating model. The result is that in many, many industries leadership has almost no hope of improving operating margins by even 1%. There simply is nothing left to improve which can achieve significant results. Simultaneously, 1% growth has a far, far greater return on investment than 1% operating margin improvement. So if companies focus their best talent on breakthroughs, in whole new ways of running the business, or creating new markets, the results are significantly greater. Hartung: Many companies have clustered their top performers into “all star teams.” But this has been met by demotivation of employees not on these teams – feeling like “also rans” or “bench warmers.” And often there is a compensation difference between the all-star team members and others that is demotivating. How do leaders manage this conundrum? Mankins: If this demotivation is driven by internal competitiveness — by ambition to move up the organization — there is a culture problem. Everyone is not on the same page about company needs and the talent to address those needs. Internal competitiveness should be addressed so everyone wants the company to succeed, so everyone individually can succeed. Rewards, compensation and non-compensation, need to be geared for groups to be motivated, not just individuals. In the organization, leadership should work hard to make sure everyone knows they are important. There should be an effort to reward the “supporting cast” and not just the main characters. It is true that in today’s world many people have an exaggerated view of their own performance. We address this in the book with recommendations for how to give people feedback so they know the reality of their role and their performance in order to grow and do better. Today most companies have a very poorly performing review and training process, because they tie it to the compensation cycle thus limiting feedback to once per year and, unfortunately, doing feedback at the same time (often the same meeting) as compensation and bonus decisions. Addressing the performance feedback process can go a long way to avoid the demotivation problem. Hartung: How do companies find “A” players? Mankins: Search firms are the antithesis of finding “A” players. Their approach, their process, is not designed to deliver “A” candidates. To build a good group of “A” players requires the CEO, CHRO and senior leadership team understand what constitutes an “A” player in their organization. Then they can use the entire organization to seek out people with this behavioral signature in order to recruit them. It is unfortunate that most company HR processes would not recognize an “A” player if one submitted a resume and would not hire one if they arrived for an interview. Most current processes focus too much on relationships (who candidates know,) narrow skills and prior specific experiences and not enough on what is needed for future success. And hiring decisions are often made by the wrong people; people too low in the organization and people who don’t know the desired behavioral signature. Google is one role model for knowing how to find and develop “A” players. Unfortunately there is enormous ageism in hiring today. Especially in technology. Employers lack awareness of the value of generalizable experience they can bring into their company. The search for very specific experiences often leads to a very limited list of candidates with narrow experience and too often they do not perform at the “A” level when placed in the context of the new company and new competitive market requirements. Looking more broadly at candidates with great experience, even if not seemingly directly applicable (including candidates in their 50s and 60s) could lead to far greater success. Summer is here, and everyone needs a business book or two to read. I’m recommending The Founder’s Mentality – How To Overcome the Predictable Crises of Growth by two very senior partners and strategy practice heads at Bain & Company — Chris Zook and James Allen. Bain is one of the top three management consulting firms in the world, with 8,000 consultants in 55 offices, and has been ranked as one of the best places to work in America by Glass Ceiling. Since both authors are still part of Bain, the book is somewhat bridled by their positions. No partner can bad mouth current or former clients, as it obviously could reveal confidential information — and it certainly isn’t good for finding new clients who would never want to risk being bad-mouthed by their consultant. So don’t expect a lambasting of poorly performing companies in this review of global cases. But after reviewing the work at their clients for over 20 years, and many other cases available via research, these fellows concluded that most companies lose the original founder’s mentality, get bound up in organizational complexity, and simply lose competitiveness due to the wrong internal focus. And they offer insights for how underperformers can regain a growth agenda. You should read the book to understand the common root cause of corporate growth problems, and how a company can address those issues. This column offers some interesting thoughts from Chris about how to apply The Founder’s Mentality to eliminate unnecessary complexity and make your organization more successful. Adam Hartung: What is the most critical step toward undoing needless, costly, time consuming complexity? Chris Zook: The biggest problem is blockages built between the front line and the top staff. Honestly, the people at the top lose any sense of what is actually happening in the marketplace — what is happening with customers. 80% of the time successfully addressing this requires eliminating 30-40% of the staff. You need non-incremental change. Leaders have to get rid of managers wedded to past decisions, and intent on defending those decisions. Leaders have to get rid of those who focus on managing what exists, and find competent replacements who can manage a transition. Hartung: Market shifts make companies non-competitive, why do you focus so much on internal organizational health? Zook: You can’t respond to a market shift if the company is bound up in complex decision-making. Unless a leader attacks complexity, and greatly simplifies the decision-making process, a company will never do anything differently. Being aware of changes in the market is not enough. You have to internalize those changes and that requires reorganizing, and usually changing a lot of people. You won’t ever get the information from the front line to top management unless you change the internal company so that it is receptive to that information. Hartung: You say simplification is critical to reversing a company’s stall-out. But isn’t focusing on the “core” missing market opportunities? Zook: Analysts cheered Nardeli’s pro-growth actions at Home Depot. But the company stalled. The growth opportunities that external folks liked hearing about diverted attention from implementing what had made Home Depot great — the “orange army” of store employees that were so customer helpful. It is very, very hard to keep “growth projects” from diverting attention to good operations, and that’s why few founders are willing to chase those projects when someone brings them up for investment. Zook: It takes a long time to turn around a huge company. Cisco and 3M are still the largest in their defined markets, and profitable. Their long-term future is still to be determined, but so far they are making progress. Investors and market gurus look for turnarounds to happen fast, but that does not fit the reality of what it takes when these companies become very large. Zook: Next Generation Leadership is not about age. It’s about mentality. It’s about being young, and flexible, in your thinking. What’s core to a company may well not be what a previous leader thinks, and a Next Gen Leader will dig out what’s core. For example, at Marvel the core was not comics. It was the raft of stories, all of which had the potential to be repurposed. Next Gen Leaders are using new eyes, dialed in with clarity to discover what is in the company that can be reused as the core for future growth. You don’t have to be young to do that, just mentally agile. Unfortunately, there aren’t nearly as many of these agile leaders as there are those stuck in the old ways of thinking. Zook: Did well due to its monopoly. Lost its Founder’s Mentality. Now suffering low growth rates relative to its industry, and in the danger zone of a growth stall-out. They have to refocus. Leadership needs to regain the position of attracting developers to their platform rather than being raided for developers by competitive platforms. Zook: Jobs implemented The Founder’s Mentality brilliantly. Apple got close to its customers again with the retail stores, a great move to learn what customers really wanted, liked and would buy. But where will they turn next? Apple needs to make a big bet, and focus less on upgrades. They need to be thinking about a possible stall-out. But will Apple’s current leadership make that next big bet? It’s been almost a decade since I wrote Create Marketplace Disruption – How To Stay Ahead of the Competition. In it I detailed how companies, in the pursuit of best practices build locked-in decision-making systems that perpetuate the past rather than prepare for the future. The Founder’s Mentality provides several case studies in how organizations, especially large ones, can attack that lock-in to rediscover what made them great and set a chart for a better future. Put it on your reading list for the next plane flight, or relaxation time on your holiday. America’s middle class has been decimated. Ever since Ronald Reagan rewrote the tax code, dramatically lowering marginal rates on wealthy people and slashing capital gains taxes, America’s wealthy have been amassing even greater wealth, while the middle class has gone backward and the poor have remained poor. Losing 30% of their wealth, and for many most of their home equity, has left what were once middle class families actually closer to definitions of working poor than a 1950s-1960s middle class. When Charles Dickens wrote “A Christmas Carole” he brought to life for readers the striking difference between those who “have” from those who “have not” in early England. If you had money England was a great place to be. If you relied on your labors then you were struggling to make ends meet, and regularly disappointing yourself and your family. For a great many American’s that is the situation in 2015 USA. 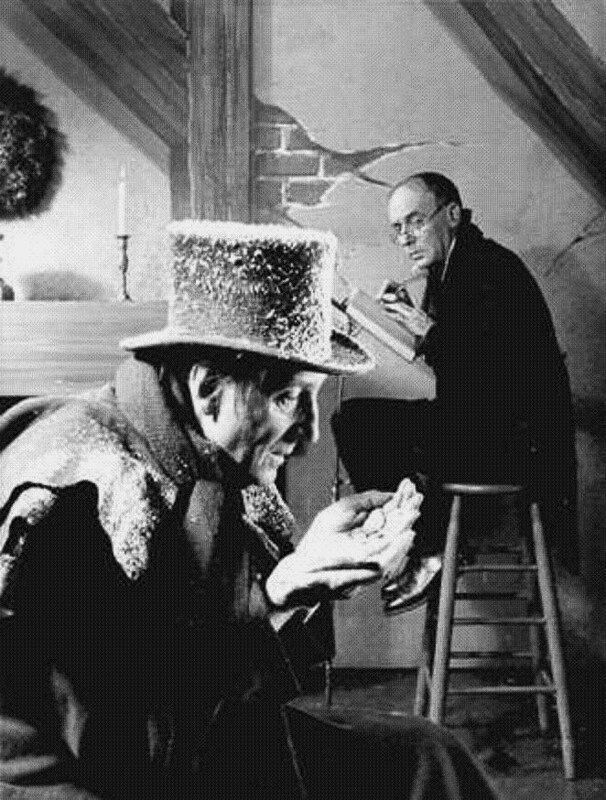 At the book’s outset, Mr. Ebenezer Scrooge felt that his wealth was all due to his own great skill. He gave himself 100% of the credit for amassing a fortune, and he felt that it was wrong of laborers, such as his bookkeeper Mr. Cratchit, to expect to pay when seeking a day off for Christmas. Unfortunately, this sounds far too often like the wealthy and 1%ers. They feel as if their wealth is 100% due to their great intelligence, skill, hard work or conniving. And they don’t think they owe anyone anything as they work to keep unions at bay as they campaign to derail all employee bargaining. Nor do they think they should pay taxes on their wealth as many actively seek to destroy the role of government. Meanwhile, there are employers today who have taken a page right out of Mr. Scrooge’s book of worklife desolation. Ever since President Reagan fired the Air Traffic Controllers Union employee rights have been on the downhill. Employers increasingly do not allow employees to have any say in their work hours or workplace conditions – such as Marissa Mayer eliminating work from home at Yahoo, yet expecting 3 year commitments from all managers. Just as Mr. Scrooge refused to put more coal in the office stove as Mr. Cratchit’s fingers froze, employers like WalMart rigidly control the workplace environment – right down to the temperature in every single building and office – in order to save cost regardless of employee satisfaction. Workplace comfort has little voice when implementing the CEOs latest cost-saving regimen. Increasingly, those who “go to work” have less and less voice about their work. How many of you readers will check your work voice mail and/or email on Christmas Day? Is this not the modern equivalent of your employer, like Scrooge, treating you like a filcher if you don’t work on the 25th December? But, do you dare leave the smartphone, tablet or laptop alone on this day? Do you risk falling behind on your job, or angering your boss on the 26th if something happened and you failed to respond? Like many with struggling economic uncertainty, Bob Cratchit had a very ill son. But Mr. Scrooge could not be bothered by such concerns. Mr. Scrooge had a business to run, and if an employee’s family was suffering then it was up to social services to take care of such things. If those social services weren’t up to standards, well it simply was not his problem. He wasn’t the government – although he did object to any and all taxes. And he had no value for the government offering decent prisons, or medical care to everyone. Today, employers right and left have dropped employee health insurance, recommending employees go on the exchanges; even though these same employers do not offer any incremental income to cover the cost of exchange-based employee insurance. And many employers are cutting employee hours to make sure they are not able to demand health care coverage. And the majority of employers, and employer associations such as the Chamber of Commerce, want to eliminate the Affordable Care Act entirely, leaving their employees with no health care at all – as was the case for many prior to ACA passage. Even worse, there are employers (especially in retail, fast food and other minimum wage environments) with employees earning so little pay that as employers they recommend their employees file for government based Medicaid in order to receive the bottom basics of healthcare. Employees are a necessity, but not if they are sick or if the employer has to help their families maintain good health. But things changed for Mr. Scrooge, and we can hope they do for a lot more of America’s employers and wealthy elite. Mr. Scrooge’s former partner, Mr. Jakob Marley, visits Mr. Scrooge in a dream and reminds him that, in fact, there was a lot more to his life, and wealth creation, than just Ebenezer’s toils. Those around him helped him become successful, and others in his life were actually very important to his happiness. He reminds Mr Scrooge that as he isolated himself in the search for ever greater wealth he gained money, but lost a lot of happiness. Today we have some business leaders taking the cue from Mr. Marley, and speaking out to the Scrooges. In particular, we can be thankful for folks like Warren Buffet who consistently points out the great luck he had to be born with certain skills at this specific point in time. Mr. Buffett regularly credits his wealth creation with the luck to receive a good education, learning from academics such as Ben Graham, and having a great network of colleagues to help him invest. Further, amplifying his role as a modern day Jacob Marley, Mr. Buffett recognizes the vast difference between his situation and those around him. He has pointed out that his secretary pays a higher percent of her income in taxes than himself, and he points out this is a remarkably unfair situation. Additionally, he makes it clear that for many wealth is a gift of birth – and “winning the ovarian lottery” does not make that wealthy person smarter, harder working or more valuable to society. Rather, just lucky. What we need is for more wealthy Americans to have a vision of Christmas future – as it appeared to Mr. Scrooge. He saw how wealth inequality would worsen young Tiny Tim’s health, leaving him crippled and dying. He saw his employee Mr. Cratchet struggle and become ill. These visions scared him. Scared him so much, he offered a bounty upon his community, sharing his wealth. Mr. Scrooge realized that great wealth, preserved just for him, was without merit. He was doomed to a future of being rich, but without friends, without a great world of colleagues and without the sharing of riches among everyone in order that all in society could be healthy and grow. Many would suffer, and die, if society overall did not take actions to share success. These days we do have a few of these visionary 1%ers, such as Bill Gates, Warren Buffett and recently Mark Zuckerberg, who are either currently, or in the future, planning to disseminate their vast wealth for the good of mankind. Yet, middle class Americans have been watching their dreams evaporate. Over the last 50 years America has changed, and they have been left behind. Hard work, well…….. it just doesn’t give people what it once did. Policy changes that favored the wealthy with Ayn Rand style tax programs have made the rich ever richer, supported the legal rights of big corporations and left the middle class with a lot less money and power. Incomes that did not come close to matching inflation, and home values that too often are more anchors than balloons have beset 2015’s strivers. It will take more than philanthropic foundations and a few standout generous donors to rebuild America’s middle class. It will take policies that provide more (more safety nets, more health care, more education, more pension protection, more job protections and more political power) for those in the middle, and give them economic advantages today offered only wealthier Americans. There was a time, before primaries, when each party's platform was really important. Voters didn't pick a candidate, the party did. Then voters read what policies the party planned to implement should it control the executive branch, and possibly a legislative majority. It was the policies that drew the most attention – not the candidates. Digging deeper than shortened debate-level headlines, there is a considerable difference in the recommended economic policies of the two dominant parties. The common viewpoint is that Republicans are good for business, which is good for the economy. Republican policies – and the more Adam Smith, invisible hand, limited regulation, lassaiz faire the better – are expected to create a robust, healthy, growing economy. Meanwhile, the common view of Democrat policies is that they too heavily favor regulation and higher taxes which are economy killers. Well, for those who feel this way it may be time to review the last 80 years of economic history, as Bob Deitrick and Lew Godlfarb have done in a great, easy to read book titled "Bulls, Bears and the Ballot Box" (available at Amazon.com) Their heavily researched, and footnoted, text brings forth some serious inconsistency between the common viewpoint of America's dominant parties, and the reality of how America has performed since the start of the Great Depression. worthwhile to look at facts. This book's authors are to be commended for spending several years, and many thousands of student research assistant man-days, sorting out economic performance from the common viewpoint – and the broad theories upon which much policy has been based. Their compendium of economic facts is the most illuminating document on economic performance during different administrations, and policies, than anything previously published. The authors looked at a range of economic metrics including inflation, unemployment, growth in corporate profits, performance of the stock market, change in household income, growth in the economy, months in recession and others. To their surprise (I had the opportunity to interview Mr. Goldfarb) they discovered that laissez faire policies had far less benefits than expected, and in fact produced almost universal negative economic outcomes for the nation! From this book loaded with statistical fact tidbits and comparative charts, here are just a few that caused me to realize that my long-term love affair with Milton Friedman's theories and recommended policies in "Free to Choose" were grounded in a theory I long admired, but that simply have proven to be myths when applied! The book is great at looking at today's economic myths, and using long forgotten facts to set the record straight. For example, in explaining President Reagan's great economic recovery of the 1980s it is often attributed to the stimulative impact of major tax cuts. But in reality the 1981 tax cuts backfired, leading to massive deficits and a weaker economy with a double dip recession as unemployment soared. So in 1982 Reagan signed (TEFRA) the largest peacetime tax increase in our nation's history. In his tenure Reagan signed 9 tax bills – 7 of which raised taxes! The stock market has soared 14.72%/year under Obama, second only to Clinton — which should be a big deal since 2/3 of people (not just the upper class) have a 401K or similar investment vehicle dependent upon corporate profits and stock market performance"
There are a lot of reasons to select the party for which you wish to vote. There is more to America than the economy. But, if you think like the Democrats did in 1992 and "it's about the economy" then you owe it to yourself to read this book. It may challenge your conventional wisdom as it presents – like Joe Friday said – "just the facts." Not far from each other, in the area around Seattle, are two striking contrasts in leadership. They provide significant insight to what creates success today. Steve Ballmer leads Microsoft, America's largest software company. Unfortunately, the value of Microsoft has gone nowhere for 10 years. Steve Ballmer has steadfastly defended the Windows and Office products, telling anyone who will listen that he is confident Windows will be part of computing's future landscape. Looking backward, he reminds people that Windows has had a 20 year run, and because of that past he is certain it will continue to dominate. Unfortunately, far too many investors see things differently. They recognize that nearly all areas of Microsoft are struggling to maintain sales. It is quite clear that the shift to mobile devices and cloud architectures are reducing the need, and desire, for PCs in homes, offices and data centers. Microsoft appears years late recognizing the market shift, and too often CEO Ballmer seems in denial it is happening – or at least that it is happening so quickly. His fixation on past success appears to blind him to how people will use technology in 2014, and investors are seriously concerned that Microsoft could topple as quickly DEC., Sun, Palm and RIM. Comparatively, across town, Mr. Bezos leads the largest on-line retailer Amazon. That company's value has skyrocketed to a near 90 times earnings! Over the last decade, investors have captured an astounding 10x capital gain! Contrary to Mr. Ballmer, Mr. Bezos talks rarely about the past, and almost almost exclusively about the future. He regularly discusses how markets are shifting, and how Amazon is going to change the way people do things. Mr. Bezos' fixation on the future has created incredible growth for Amazon. In its "core" book business, when publishers did not move quickly toward trends for digitization Amazon created and launched Kindle, forever altering publishing. When large retailers did not address the trend toward on-line shopping Amazon expanded its retail presence far beyond books, including more products and a small armyt of supplier/partners. When large PC manufacturers did not capitalize on the trend toward mobility with tablets for daily use Amazon launched Kindle Fire, which is projected to sell as many as 12 million units next year (AllThingsD.com). Where Mr. Ballmer remains fixated on the past, constantly reinvesting in defending and extending what worked 20 years ago for Microsoft, Mr. Bezos is investing heavily in the future. Where Mr. Ballmer increasingly looks like a CEO in denial about market shift, Mr. Bezos has embraced the shifts and is pushing them forward. Clearly, the latter is much better at producing revenue growth and higher valuation than the former. At AOL it is unclear that Mr. Armstrong has a clear view of how AOL will change markets to become a content powerhouse. AOL's various investments are incoherent, and managers struggle to see a strong future for AOL. On the other hand, Ms. Huffington does have a clear sense of the future, and the insight for an entirely different business model at AOL. The Board would be well advised to consider handing the reigns to Ms. Huffington, and pushing AOL much more rapidly toward a different, and more competitive future. Dell's chronic inability to identify new products and markets has left it, at best, uninteresting. It's supply chain focused strategy has been copied, leaving the company with practically no cost/price advantage. Mr. Dell remains fixated on what worked for his initial launch 30 years ago, and offers no exciting description of how Dell will remain viable as PC sales diminish. Unless new leadership takes the helm at Dell, the company's future 5 years hence looks bleak. HP's new CEO Meg Whitman is less than reassuring as she projects a terrible 2012 for HP, and a commitment to remaining in PCs – but with some amorphous pledge toward more internal innovation. Lacking a clear sense of what Ms. Whitman thinks the world will look like in 2017, and how HP will be impactful, it's hard for investors, managers or customers to become excited about the company. HP needs rapid acceleration toward shifting customer needs, not a relaxed, lethargic year of internal analysis while competitors continue moving demand further away from HP offerings. Groupon has had an explosive start. But the company is attacked on all fronts by the media. There is consistent questioning of how leadership will maintain growth as reports emerge about founders cashing out their shares, highly uneconomic deals offered by customers, lack of operating scale leverage, and increasing competition from more established management teams like Google and Amazon. After having its IPO challenged by the press, the stock has performed poorly and now sells for less than the offering price. Groupon desperately needs leadership that can explain what the markets of 2015 will look like, and how Groupon will remain successful. What investors, customers, suppliers and employees want from leadership is clarity around what leaders see as the future markets and competition. They want to know how the company is going to be successful in 2 or 5 years. In today's rapidly shifting, global markets it is not enough to talk about historical results, and to exhibit confidence that what brought the company to this point will propel it forward successfully. And everyone recognizes that managing quarter to quarter will not create long term success. Leaders must demonstrate a keen eye for market shifts, and invest in opportunities to participate in game changers. Leaders must recognize trends, be clear about how those trends are shaping future markets and competitors, and align investments with those trends. Leadership is not about what the company did before, but is entirely about what their organization is going to do next. In the latest defend & extend action at Microsoft Ballmer has decided to port Office onto the iPad (TheDaily.com). Short term likely to increase revenue. But clearly at the expense of long-term competitiveness in tablet platforms. And, it misses the fact that people are already switching to cloud-based apps which obviate the need for Office. This will extend the dying period for Office, but does not come close to being an innovative solution which will propel revenues over the next decade. Wal-Mart has had 9 consecutive quarters of declining same-store sales (Reuters.) Now that’s a serious growth stall, which should worry all investors. Unfortunately, the odds are almost non-existent that the company will reverse its situation, and like Montgomery Wards, KMart and Sears is already well on the way to retail oblivion. Faster than most people think. After 4 decades of defending and extending its success formula, Wal-Mart is in a gladiator war against a slew of competitors. Not just Target, that is almost as low price and has better merchandise. Wal-Mart’s monolithic strategy has been an easy to identify bulls-eye, taking a lot of shots. Dollar General and Family Dollar have gone after the really low-priced shopper for general merchandise. Aldi beats Wal-Mart hands-down in groceries. Category killers like PetSmart and Best Buy offer wider merchandise selection and comparable (or lower) prices. And companies like Kohl’s and J.C. Penney offer more fashionable goods at just slightly higher prices. On all fronts, traditional retailers are chiseling away at Wal-Mart’s #1 position – and at its margins! Yet, the company has eschewed all opportunities to shift with the market. It’s primary growth projects are designed to do more of the same, such as opening smaller stores with the same strategy in the northeast (Boston.com). Or trying to lure customers into existing stores by showing low-price deals in nearby stores on Facebook (Chicago Tribune) – sort of a Facebook as local newspaper approach to advertising. None of these extensions of the old strategy makes Wal-Mart more competitive – as shown by the last 9 quarters. Today, 52% plan to go to Wal-Mart, 40% to Target and 45% on-line. This trend has been emerging for over a decade. The “retail revolution” was reported on at the Harvard Business School website, where the case was made that traditional brick-and-mortar retail is considerably overbuilt. And that problem is worsening as the trend on-line keeps shrinking the traditional market. Several retailers are expected to fail. Entire categories of stores. As an executive from retailer REI told me recently, that chain increasingly struggles with customers using its outlets to look at merchandise, fit themselves with ideal sizes and equipment, then buying on-line where pricing is lower, options more plentiful and returns easier! While Wal-Mart is huge, and won’t die overnight, as sure as the dinosaurs failed when the earth’s weather shifted, Wal-Mart cannot grow or increase investor returns in an intensely competitive and shifting retail environment. Amazon moved fairly quickly from a retailer of out-of-inventory books into best-sellers, rapidly dominating book sales bankrupting thousands of independents and retailers like B.Dalton and Borders. Amazon expanded into general merchandise, offering thousands of products to expand its revenues to site visitors. Amazon created an easy-to-use application for authors so they could self-publish books for print-on-demand and sell via Amazon when no other retailer would take their product. 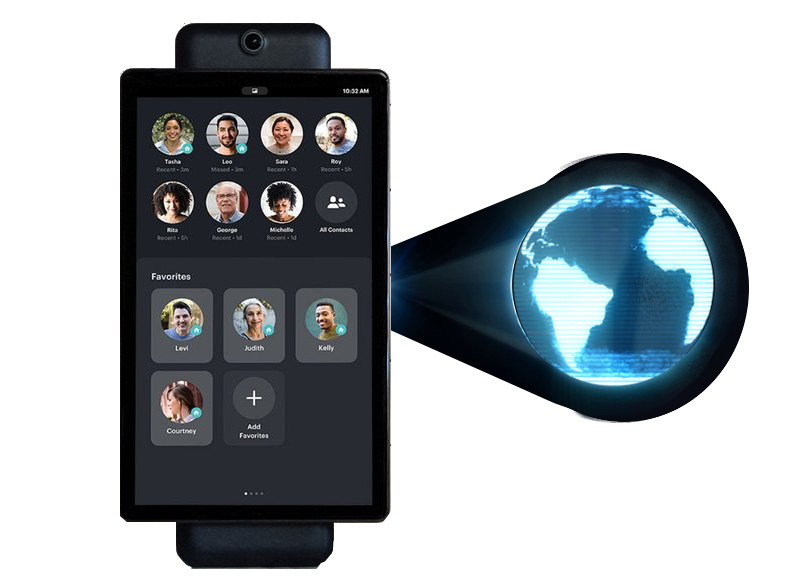 Amazon recognized the mobile movement early and developed a mobile interface rather than relying on its web interface for on-line customers, improving usability and expanding sales. Amazon built on the mobility trend when its suppliers, publishers, didn’t respond by creating Kindle – which has revolutionized book sales. Unlike Wal-Mart customers, Amazon’s keep growing at double digit rates. In Q3 unique visitors rose 19% versus 2010, and September had a 26% increase. Kindle Fire sales were 100,000 first day, and 250,000 first 5 days, compared to 80,000 per day unit sales for iPad2. Kindle Fire sales are expected to reach 15million over the next 24 months, expanding the Amazon reach and easily accessible customers. While GroupOn is the big leader in daily coupon deals, and Living Social is #2, Amazon is #3 and growing at triple digit rates as it explores this new marketplace with its embedded user base. Despite only a few month’s experience, Amazon is bigger than Google Offers, and is growing at least 20% faster. After 1980 investors used to say that General Motors might not be run well, but it would never go broke. It was considered a safe investment. In hindsight we know management burned through company resources trying to unsuccessfully defend its old business model. Wal-Mart is an identical story, only it won’t have 3 decades of slow decline. The gladiators are whacking away at it every month, while the real winner is simply changing competition in a way that is rapidly making Wal-Mart obsolete. Given that gladiators, at best, end up bloody – and most often dead – investing in one is not a good approach to wealth creation. However, investing in those who find ways to compete indirectly, and change the battlefield (like Apple,) make enormous returns for investors. Amazon today is a really good opportunity. Sales are up 50% versus last year! The result of this impressive sales growth has been a remarkable valuation increase – comparable to Apple! How did Amazon do this? Not by “sticking to its knitting” or being very careful to manage its “core.” In 2001 Amazon was still largely an on-line book seller. The company’s impressive growth has come by moving far from its “core” into new markets and new businesses – most far removed from its expertise. Despite its “roots” and “DNA” being in U.S. books and retailing, the company has pioneered off-shore businesses and high-tech products that help customers take advantage of big trends. Amazon’s earnings release provided insight to its fantastic growth. Almost 50% of revenues lie outside the U.S. Traditional retailers such as WalMart, Target, Kohl’s, Sears, etc. have struggled in foreign markets, and blamed poor performance on weak infrastructure and complex legal/tax issues. But where competitors have seen obstacles, Amazon created opportunity to change the way customers buy, and change the industry using its game-changing technology and capabilities. For its next move, according to Silicon Alley Insider, “Amazon is About to Invade India,” a huge retail market, in an economy growing at over 7%/year, with rising affluence and spendable income – but almost universally overlooked by most retailers due to weak infrastructure and complex distribution. Amazon’s remarkable growth has occurred even though its “core” business of books has been declining – rather dramatically – the last decade. Book readership declines have driven most independents, and large chains such as B. Dalton and more recently Borders, out of business. But rather than use this as an excuse for weak results, Amazon invested heavily in the trends toward digitization and mobility to launch the wildly successful Kindle e-Reader. Today about half of all Amazon book sales are digital, creating growth where most competitors (hell-bent on trying to defend the old business) have dealt with stagnation and decline. Amazon did this without a background as a technology company, an electronics company, or a consumer goods company. Additionally, Amazon invested in Kindle – and is now developing a tablet – even as these products cannibalized the historically “core” paper-based book sales. And Amazon has pursued these market shifts, even though these new products create a significant threat to Amazon’s largest traditional suppliers – book publishers. Rather than trying to defend its old core business, Amazon has invested heavily in trends – even when these investments were in areas where Amazon had no history, capability or expertise! Amazon has now followed the trends into a leading position delivering profitable “cloud” services. Amazon Web Services (AWS) generated $500M revenue last year, is reportedly up 50% to $750M this year, and will likely hit $1B or more before next year. In addition to simple data storage Amazon offers cloud-based Oracle database services, and even ERP (enterprise resource planning) solutions from SAP. In cloud computing services Amazon now leads historically dominant IT services companies like Accenture, CSC, HP and Dell. By offering solutions that fulfill the emerging trends, rather than competing head-to-head in traditional service areas, Amazon is growing dramatically and avoiding a gladiator war. And capturing big sales and profits as the marketplace explodes. Amazon created 5,300 U.S. jobs last quarter. Organic revenue growth was 44%. Cash flow increased 25%. All because the company continued expanding into new markets, including not only new retail markets, and digital publishing, but video downloads and television streaming – including making a deal to deliver CBS shows and archive. If you want to succeed, there are ample lessons at Amazon. Be willing to enter new markets, be willing to experiment and learn, don’t play “bet the company” by waiting too long, and be willing to invest in trends – especially when existing competitors (and suppliers) are hesitant.